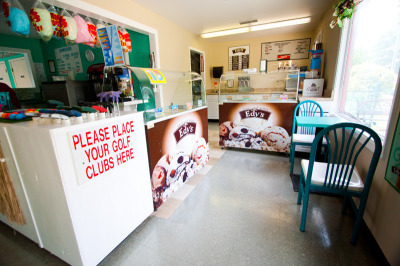 WE ARE SORRY TO SHARE THAT RAINFOREST GOLF WILL Be ClOSED THIS SPRING 2019 AND SUMMER 2019 UNTIL FURTHER NOTICE. WE APOLOGIZE FOR ANY INCONVENIENCE. Rainforest Golf has two 18-hole courses with many challenging shots. 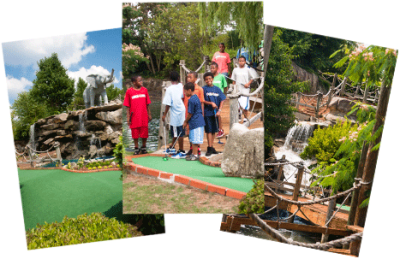 Golfers climb steps, cross bridges, and ascend and descend over fifty feet, surrounded by intense green foliage, streams, running waterfalls, and lifelike animal models. It may take as little as an hour or nearly three to finish both courses. Two-thirds of the facility is shaded in whole or part, a great boon for parents on sunny days. Benches lay throughout the course for golfers to rest, or just to admire the scenery. 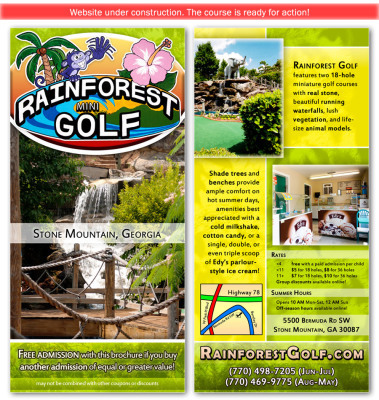 Rainforest Golf has features a private room with seating for fifteen and special group rates.